Live Theatre’s work in supporting up and coming writers and actors continues this month, with two shows featuring bright young talent. The first, on Friday 13th May, welcomes the Mixtapers back to the theatre; the group produce bite-sized theatre shows inspired by music, and this month they’re donning their leg warmers and day-glo tees to take you back to the 80s. 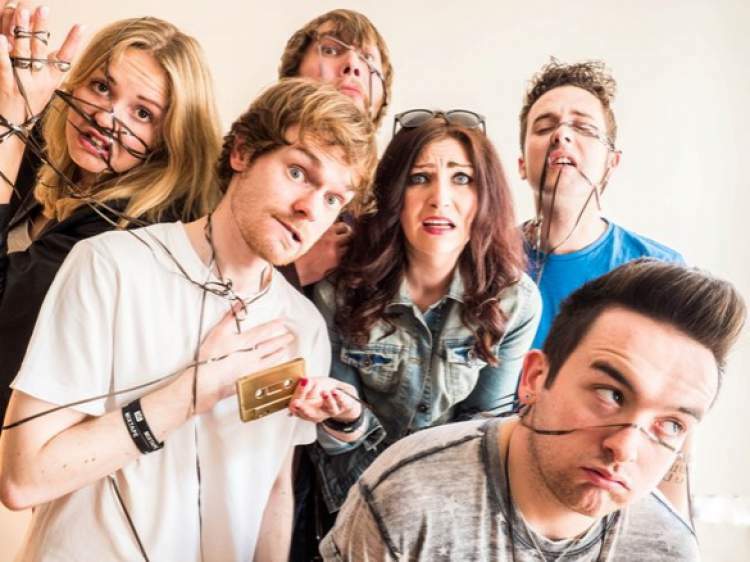 Featuring comedy sketches inspired by classic 80s tunes, the audience are invited to guess the songs that inspire the sketches to be in with a chance of winning the coveted Golden Mixtape! Fancy dress is highly encouraged! If your appetite’s been whetted by some of the talent on offer at Mixtape, why not have a go yourself? Polaroid Theatre are turning the stage over to aspiring playwrights with their Write It: Mic It programme, taking place at the theatre on Saturday 21st May. The programme aims to find the most exciting emerging and established playwrights, comedians, spoken word artists and sketch groups in the region, with slots open for anyone to participate (submissions deadline is Monday 2nd May). The night will be headlined by BAFTA nominated writer, comedian and performer Gabriel Bisset-Smith, with a live DJ set from Delta Venus to round the night off.